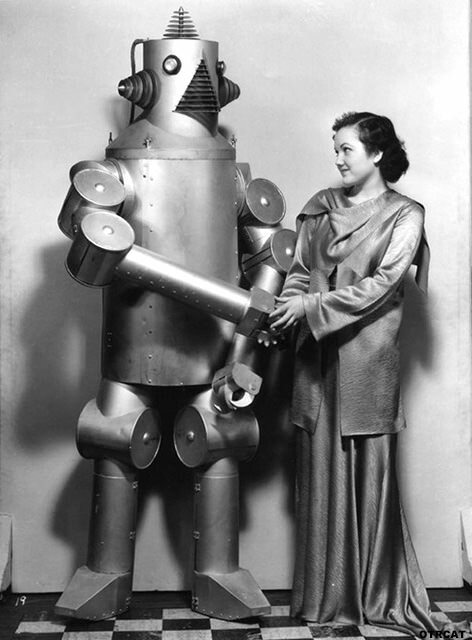 This collection includes the best science fiction old time radio episodes featuring robots. Humans have long been fascinated with the idea of a mechanical man. 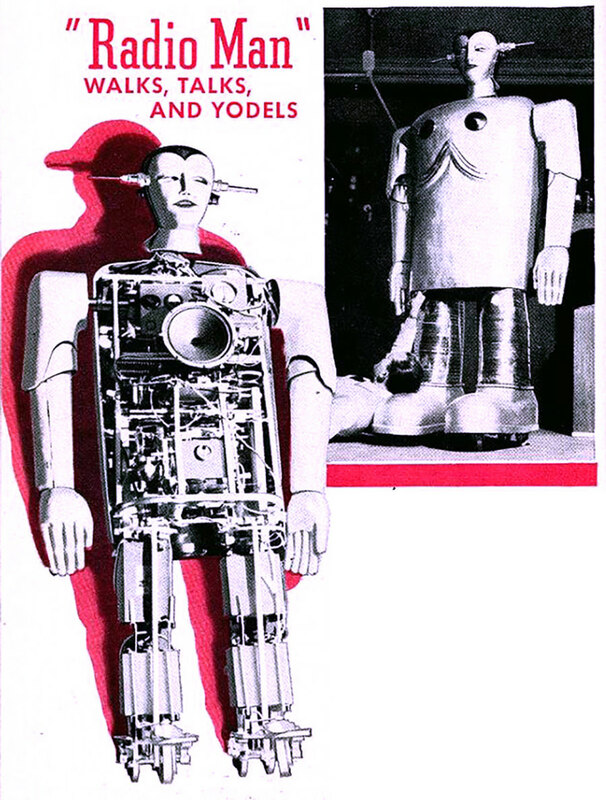 The word robot is attributed to the Czech playwright Karel Capek's play R.U.R (Rossum's Universal Robots) in 1920. 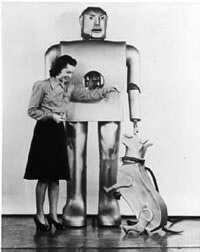 Many science fiction old time radio shows attempt to sift out the ethics of robotics and bigger existential questions like defining what it is to be human (free will, consciousness of being, self control, agency, etc.). In the old time radio show, "The Doom Machine" a robot is created to help gather energy from the sun with calamitous consequences. In the story "Almost Human," a scientist builds a robot named Junior capable of consciousness and judgment (Dimension X and X-Minus One). In X-Minus One, "Open Warfare," a scientist challenges a championship golfer to an 18-hole match-up against his golfing robot. The human golfer and his caddy must put their heads together to beat the mechanical plaid pants putter. In 2000 Plus "The Robot Killer," a young suburban couple wins a robotic servant, but the wife has murderous streak. In the show's opening a professor proclaims after the robot accidently kills a kitten, "You see what happens when fools play with science!" In the Issac Asimov story, "The Liar," a robot develops ESP and reads the minds of its creators. In "Marionettes, Inc." a man creates a robot identical to himself so that he can go on vacation away from his wife. This collection includes robots in science fiction old time radio shows including 2000 Plus, Beyond Tomorrow, Dimension X, Planet Man, X-Minus One, and many more. See also: Sci Fi Listener's Favorites, Science Fiction Authors Collection, and Aliens, Martians, and UFO's Collection. Be the first to comment on "Robots in OTR"